Since 1970 Schmitt Implement has been serving the farm community with a full line of equipment, parts and service. 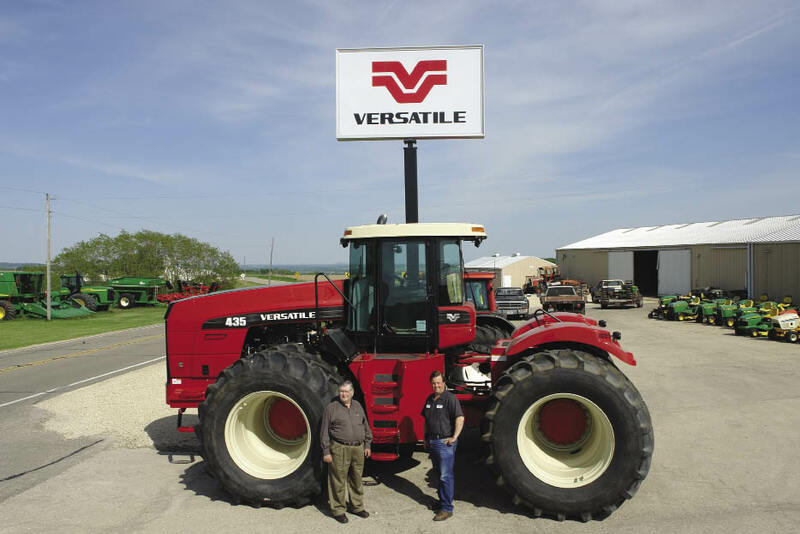 As an authorized Versatile dealer, we’re proud to offer you a broad range of products and services to help maximize your farming needs. We have a full line of new equipment, in addition to our good selection of clean used equipment, to meet all of your farming needs. We also handle lawn and garden products as well as a full line of turf equipment for all of your estate needs. For our future farmers and collectors, we carry a large inventory of farm toys and collectibles. Schmitt Implement is a family owned business located in Holy Cross, Iowa in the heart of Dubuque County. Please call or stop by to learn about how we can help you.